Open Extended Hours and Weekends. 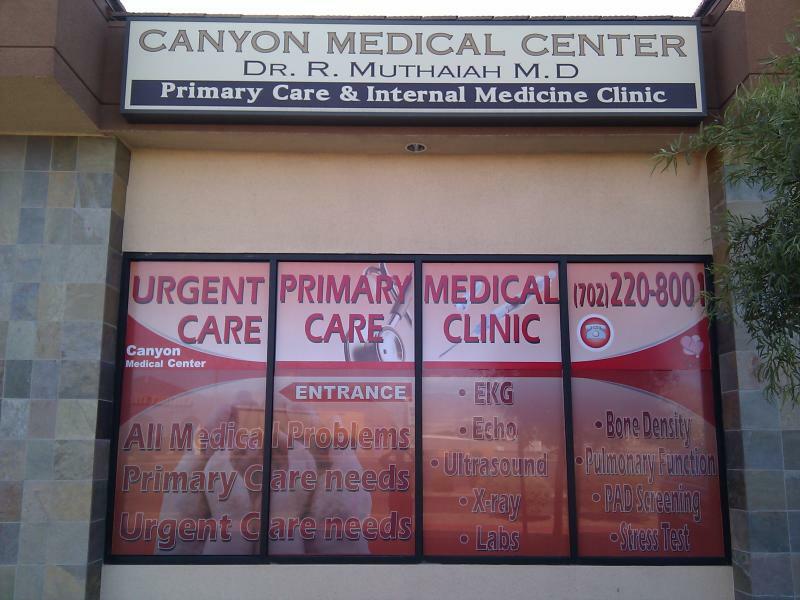 Canyon Medical Center has been providing exceptional services with Urgent Care Primary Care and Medical Care Clinic Services in Las Vegas NV. Our Medical Clinic location is just OFF the FreeWay on US95 N - opposite Santa Fe Station Casino. Extended Hours & Walk in Medical Clinic - Open Extended Hours & Weekends.